The The Shadow Conspiracy "Interlock V2" Halflink Chain - Silver/Black is made of hardened steel and therefore it is a very high quality and durable half link Chain. the The Shadow Conspiracy "Interlock V2" Halflink Chain - Silver/Black consists of 98 half links and comes with a pre-installed and an additional master pin to your home. The The Shadow Conspiracy "Interlock V2" Halflink Chain - Silver/Black is available in different colours and colour combinations and the half link design offers you a precise placement of your rear wheel. 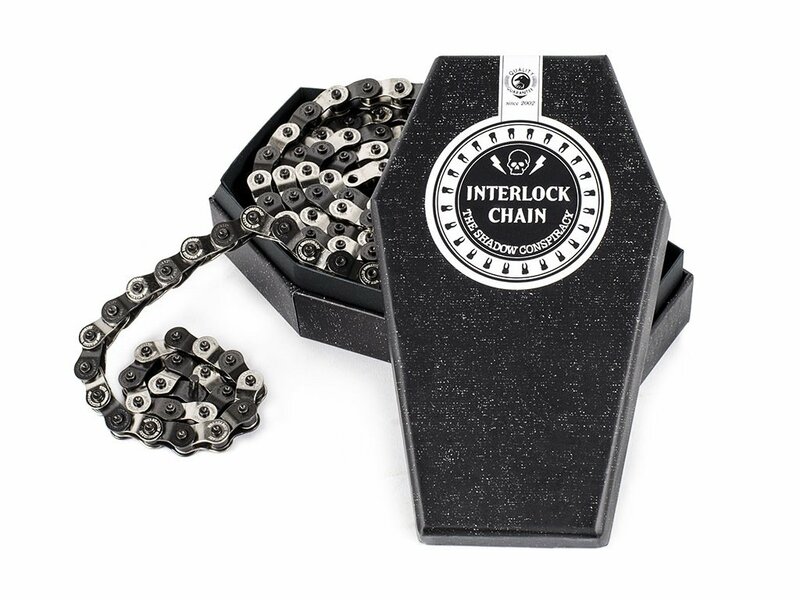 Attention: To ensure proper operation the The Shadow Conspiracy "Interlock V2" Halflink Chain - Silver/Black may be riveted only with the accompanying masterpins!! !